Home News Opinion Learning to trust: should we let our medtech guard down? 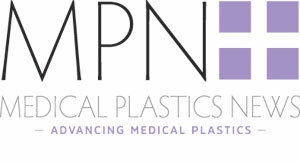 In the latest edition of Medical Plastics News, group editor Lu Rahman discusses issues of data security and whether we should trust connected medical devices. My daughter is big on internet safety. Most young people have a far better sense of how to stay safe online than the generation that produced them. I know I can be a bit slap dash when it comes to protecting my online profile and digital footprint. It made me wonder how far we should trust what we do online – where’s the balance between benefitting from the positives to be gained from the digital world – in particular digital medical tech – and the need to safeguard ourselves? Trust is interesting. A YouGov survey in the UK back in 2014 showed that two thirds of British people trusted the authors of Wikipedia entries more than journalists (by the way, we’re a very trustworthy bunch on MPN). In a Readers Digest survey in the US, 77% of people said they trusted their own doctor and interestingly, doctors topped the poll for the most trustworthy profession. Society has shifted from completely human interaction to learning to accept the world of online transactions. Learning to trust the way that connected medical devices can benefit us, has also been learned. Having faith in the world of digital devices is no mean feat. Issues of data security aren’t going away yet we recognise the benefits of connected medical technology. Devices that allow treatment in the home, that connect with healthcare professionals for the analysis of results, or allow us to administer drugs without leaving the comfort of our own homes, have been welcomed. And why not? Who wants to spend time in a clinic or on ward instead of at home? But should we be so trusting? We have faith in the medical profession that recommends devices, we have faith in brand names and we have faith in technology designed to keep us healthy. But should we be so trusting? Recently half a million pacemakers from Abbott were recalled amid fears that they could be hacked and affect the user’s heartbeat. Stories like this make us realise how vulnerable we can be when we bring the internet and medical devices together. Of course, medical device manufacturers are working to ensure products are increasingly hard to hack. Do we trust the words of people like Ford? There’s probably a balance to be found. We’re unlikely to turn our backs on connected devices but a little caution may be a sensible thing. As for me, I’m sold on the positives that digital medtech has to offer and the quality of life it affords us all. That’s the bottom line. One day security issues will be distant memories as the medical device sector, healthcare professionals (who of course are very trustworthy) and software experts makes us trust in them completely.